Beckett Message Boards - 11/12 UD Series 1 Tin - 9 Inserts! 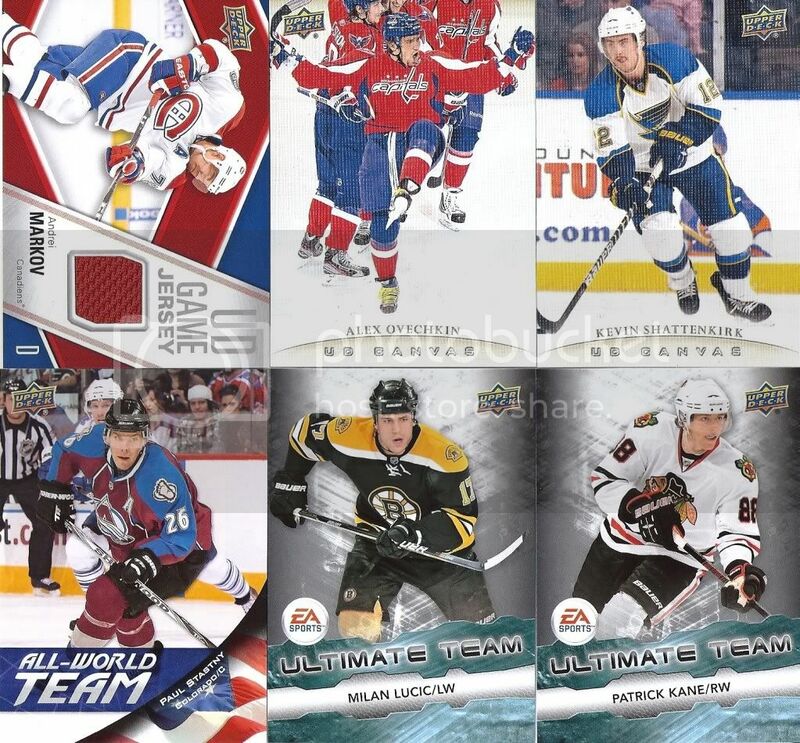 Beckett Message Boards > Hobby Talk > Hockey > Box Breaks > 11/12 UD Series 1 Tin - 9 Inserts! Full Version: 11/12 UD Series 1 Tin - 9 Inserts! Found a rare tin down here in South Florida & decided to roll the dice for a RNH YG. No luck, but a pretty nice break anyway. All will be listed for trade. That's a total of 9 inserts from one tin. Not bad. Nice hits for sure! I think that I need that Markov... I'll get back to you. Haha! hope you enjoying the FL weather! I was near where Dicky V lives its Awesome Baby!